Iredale, 1934, Austral. Zool. 8: 64, pl. 3, fig. 11, pl. 4, fig. 11. Iredale, 1943, Austral. Zool. 10: 190. 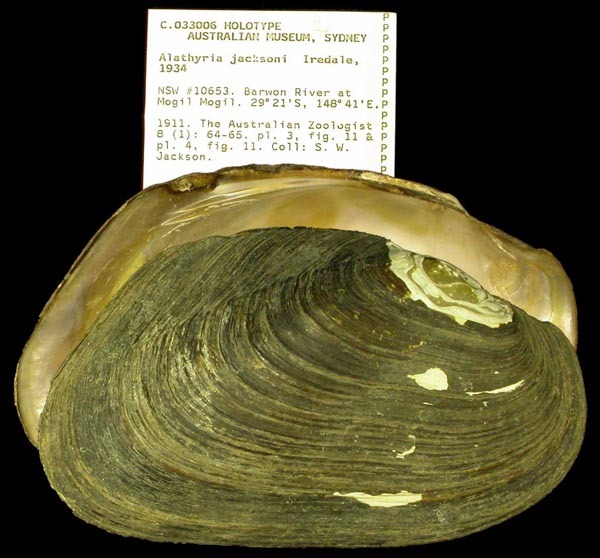 Iredale, 1943, Austral. Natural. 11: 89. 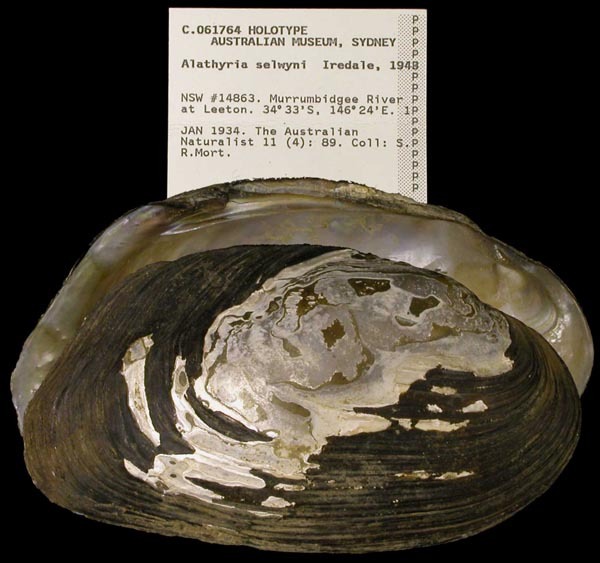 Type(s): HOLOTYPE AMS_61764, Murrumbidgee River at Leeton, New South Wales, Australia [-34.55, 146.4 ± 10 km]. 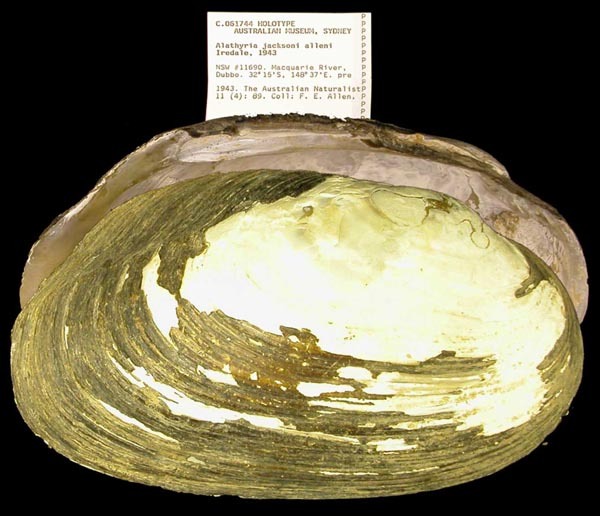 Type(s): HOLOTYPE AMS_61744, Macquarie River, Dubbo, New South Wales, Australia [-32.2, 148.617 ± 10 km].